Its absolutely shocking that I haven’t posted since September. Trying to do 3 jobs and deal with my animals too is proving hard. The weekends are full of chores!! My loan ram came in at the beginning of November and left us just before Christmas. His mother was from France and therefore we named him Claude. As a pure coincidence his tag number was 1664. He was such a calm chap. He did his bit and I was sad to see him go. I’m hoping he’ll spend time with us later in the year. With all the dreadful weather over the last few weeks (it feels like months) I had noticed that the winter placing of the field shelter was not such a good idea. I noticed a run off pipe coming from the farm with water channelling down the bank and straight under the shelter. So in the boggy mud, we moved it to a slightly drier place. The ewes have not had a good time with their feet with it being so damp. I’ve had 3 penned in the shelter and finally they seem to be better. Injecting antibiotics intramuscularly was certainly a challenge. My new year’s resolution is to post more. Looking forward to updating with more news. 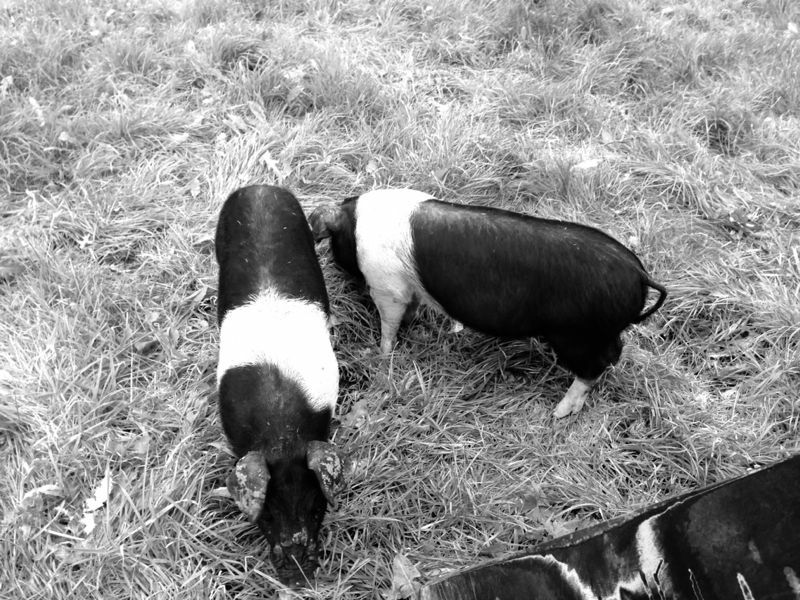 I’ve added a picture of the pigs. They are such sweet things and love their food. Today was the day to do everything but the rain put pay to that. 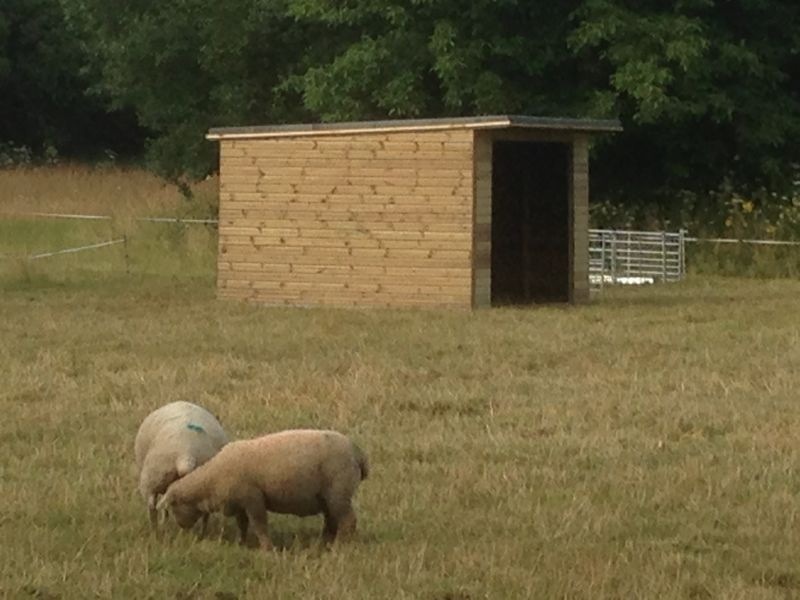 I was hoping to move the sheep to new pasture and move the field shelter into its winter position. Instead I trimmed their feet, checked their fleeces, clean their bottoms and gave them a worm dose. They didn’t think much of it but at least I know they are healthy. Looks like the lambs (except for my ram lamb) are weened. Ewes udders are really small but in good shape. The lambs will probably be off at the end of the month and I need to find a handsome ram to keep the ewes company in October/November! Do let me know if you have a ram available. 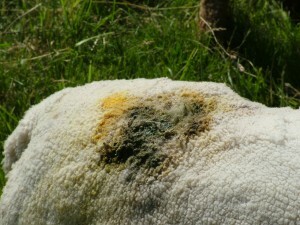 The weather has been great for the sun worshippers amongst us but certainly not for livestock. It has been a nightmare trying to persuade the grass to grow with limited amounts of rain. 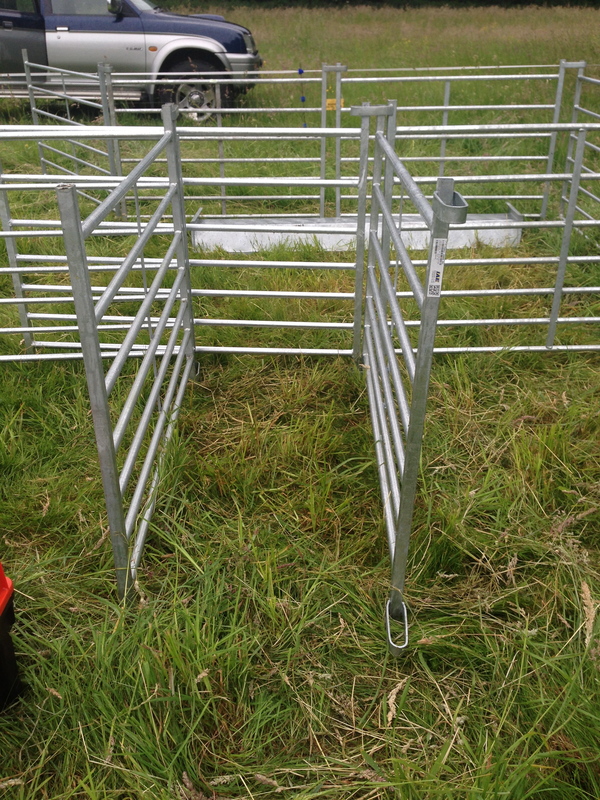 I’m trying to keep an area of pasture for the ewes prior to tupping! Notice the new field shelter!